AXA delivered another year of strong operating performance, with a 7% increase in underlying earnings per share and our highest ever reported net income. […] I would like to thank our customers for their trust, and our teams and distributors for their commitment to our vision, as we strive together towards sustained long-term growth and continued value for all of our stakeholders. AXA’s underlying earnings and net income both crossed the Euro 6 billion mark for the first time in the company’s history, with all major geographies contributing to this achievement. Our new business value was up 8%. Health was our fastest growing business in 2017, with revenues and earnings growing at 6% and 11% respectively. *Our conference is now available with live subtitles for hearing impaired audiences. They will automatically appear in your video player. Please excuse the occasional spelling errors (to be expected with live subtitles). A transcript will also be downloadable on the website after the conference. 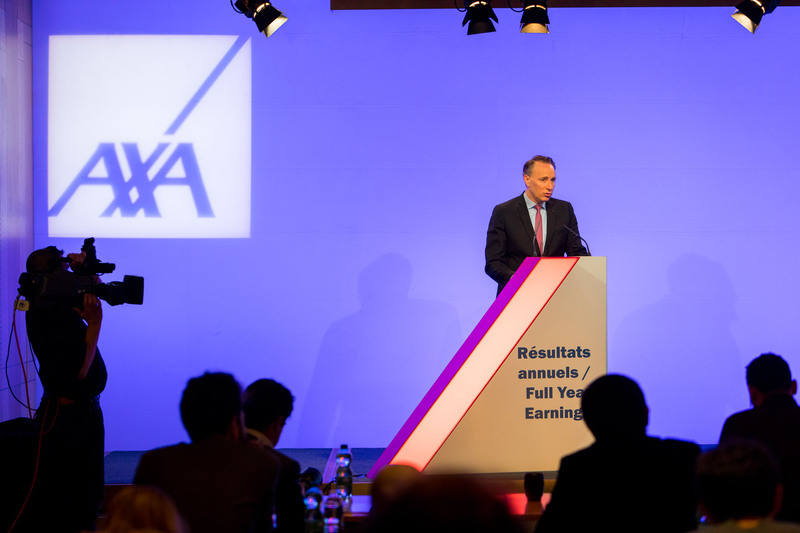 AXA publishes this morning its Full Year 2018 Earnings: "A pivotal year in our Focus and Transform strategy".